Democrats are saying, “Democracy lost this election.” When Democrats lose it’s voter fraud and racism. But when they win, they “righteously” take back, i.e. steal the election. 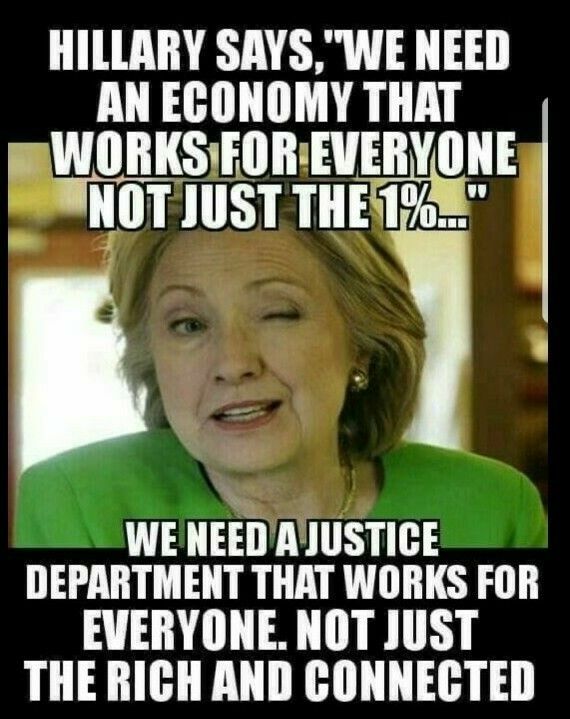 Hillary’s two-faced condemnations and denial of dysfunctional election psychopathy carelessly thrown at Donald Trump boomeranged to smack her in the face. ‘Republicans are stealing the election. They won’t count the votes. 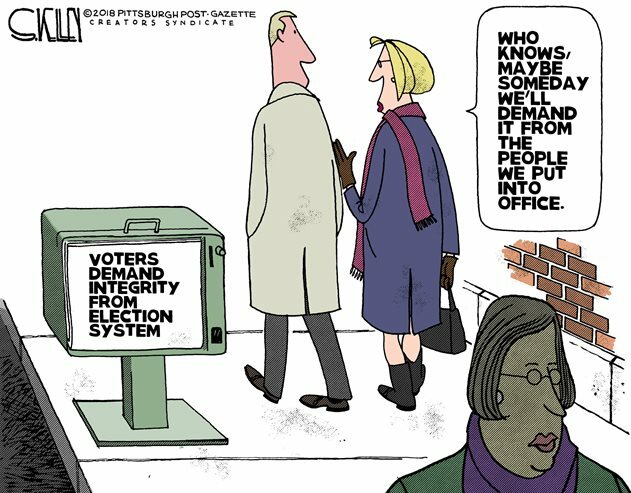 They won’t accept the results.’ Democrats slander Trump’s complaints of their voter fraud as sour grapes, yet Hillary, in her derangement, is accusing Republicans of doing exactly what Democrats have been doing for the last two years – not accepting election results. In addition to her two-faced condemnations, Democrats are saying their votes were not counted when they were. All votes were counted on Election Day! 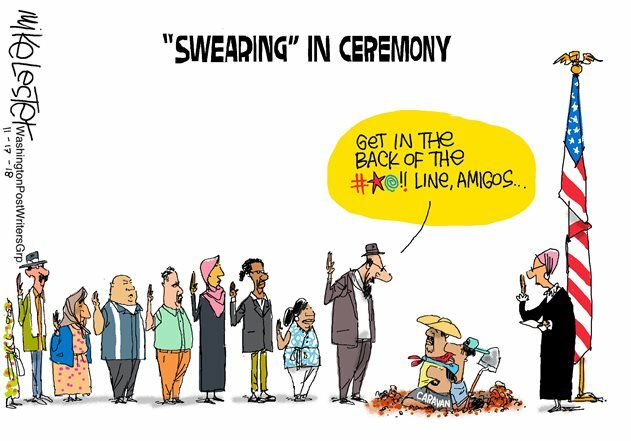 What wasn’t counted were their fraudulent votes – except in Arizona where their bogus, uncertified ballots flipped the election to the Democrat and the Republican was stupid enough to submit to the result without contest. This earned her the applause of Democrats even as they laughed at her. Yielding the election is only honorable and justified if Republicans do it regardless of Democrat fraud. If Democrats lose then its voter fraud and they will fight tooth and nail declaring the election to be illegitimate. They will use judicial hacks to subvert the law and legislate from the bench to override the law in favor of Democrats. Several of Trump’s victories were overturned because Republicans will not fight Democrat voter fraud. 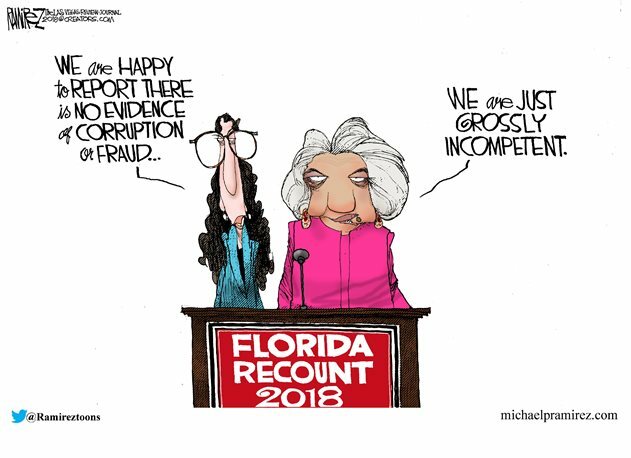 They won’t even allow investigations to proceed against obvious cases like Broward Country Florida where bogus ballots were added and Republican ballots were destroyed. There are still Democrat controlled counties that report more votes than registered voters. Democrats in Georgia and Florida declared that they did not lose the elections but that they were stolen from them. Every black candidate and electioneer accused of voter fraud that lost declared they were the victims of racism. So, every black America who voted Republican is a racist in their eyes. When everybody is the victim of racism – no one is. This delegitimizing of Republican victories has been going on for the last twenty years. When Democrats win, they say there is no voter fraud so therefore no reason for voter ID. If there is no voter fraud as Democrats claim, then how is it when they lose to Republicans it can only be through voter fraud? Democrat’s demented denial of voter fraud and their rejection of voter ID is just proof that their claim of voter suppression, when everyone in America is required to get ID for everything in their lives, is because they know they cannot win without cheating. Americans want a tamper proof election system, but Democrats will never allow that to be done because they know it would be their doom. So long as they are allowed to steal power this injustice cannot be amended. The crimes of voter fraud are obvious when one considers how easily the lottery system operates. The lottery handles two to three hundred million tickets several times a week. Within half an hour of the drawing each night they know how many winners there are and where they bought their tickets. The U.S. electoral system is used every two years to handle one hundred to one hundred fifty million votes and they say they can’t get it done in a week! This system is broken just as the immigration system is broken because that’s how Democrats want it, so they can corrupt it. Thanks to the weakness of McSally in Arizona submitting to Democrat voter fraud, and the foolishness of Utah electing NeverTrumper loser Romney, President Trump gained fewer votes in the Senate. At least RINOs Flake and Corker are gone, but Republicans still have an uphill battle if President Trump is to drain the swamp and stop leftist voter fraud before America is lost. Even though they have the majority there are still three Republican senators who are against Trump more than they are against Democrats. Clinton has been subpoenaed to testify about her email server, except this time she’ll be under oath. The left is in a panic! 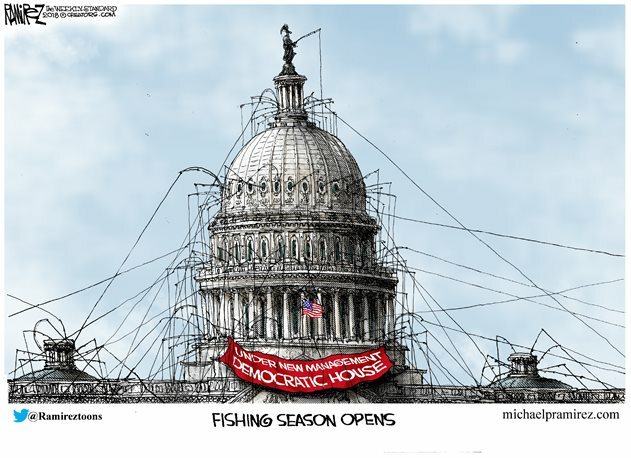 They are hoping their new House majority will obstruct all efforts by Trump to stop Democrat corruption while they continue to perpetrate the Mueller fraud. 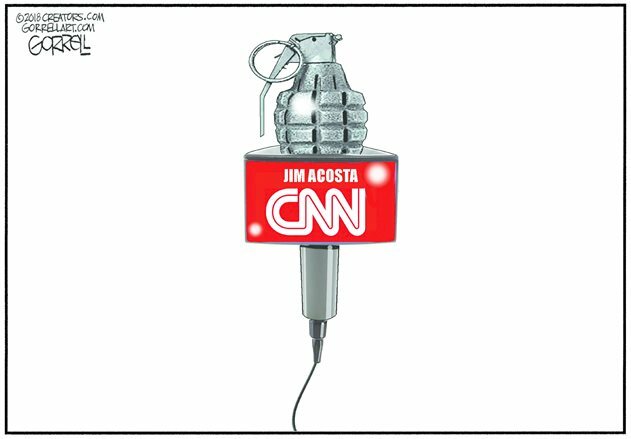 A judge ordered President Trump to reinstate CNN’s nasty Jim Acosta’s revoked WH Press Pass. 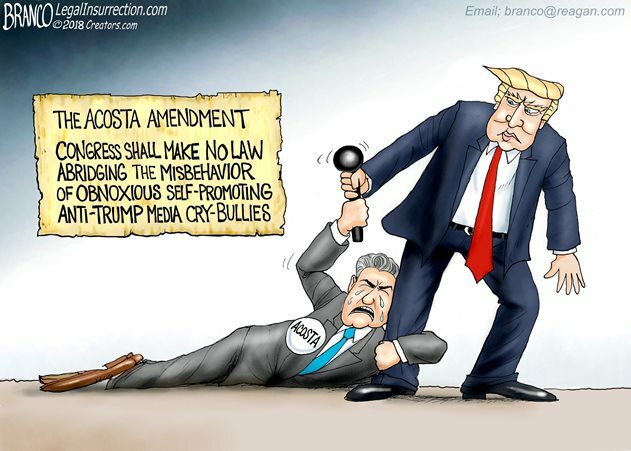 He did so, which begs the question: Why would President Trump obey the orders of a pissant judge to reinstate Acosta on the basis of the 5th Amendment that has no application to his White House press pass? He did not buy it, does not own it, he doesn’t live there, and not having it does not deprive him of his 1st Amendment rights. 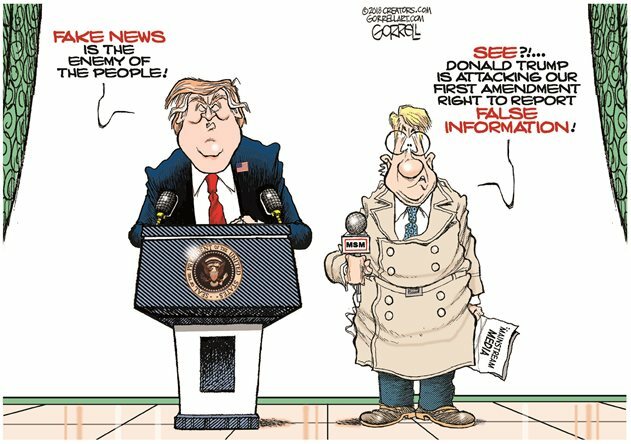 If Acosta gets a WH Press Pass on that basis then I demand one as my right! Why do Republicans allow Democrat corruption? There is no excuse for the corruption that is allowed to take place in elections. Republicans “nobly” accepting defeat is not heroic. Permitting cheaters to win is not noble. Every time the subject of voter fraud comes up, like all other corruption in the Washington swamp, the Democrat swamp rats stonewall investigations until they can seize power again to stop them. For now, draining the swamp has again come to an end because America succumbed to Democrat voter fraud. How many elections were overturned by Democrat lawyers, corrupt electioneers, and voter fraud allowing multiple votes, foreign invaders, and domestic criminals to cast ballots? How many Democrats won thanks to voter fraud? If you consider that at least 10% of votes are bogus then every election in which the tally was less than 55%-45% was stolen by the left. That is a crippling result. There needs to be a new category. They don’t need a pollster’s margin of error. There needs to be a poll result of a margin of voter fraud. America is in trouble. As the anti-America state of California allows Republican citizens to be burned out of their homes, they divert federal assistance money to their sanctuary cities where their Latin communist slaves serve their elitist Democrat masters. Democrats demand American citizens pay for the world’s poor to be imported under the façade of refugees to become Democrat’s slaves. 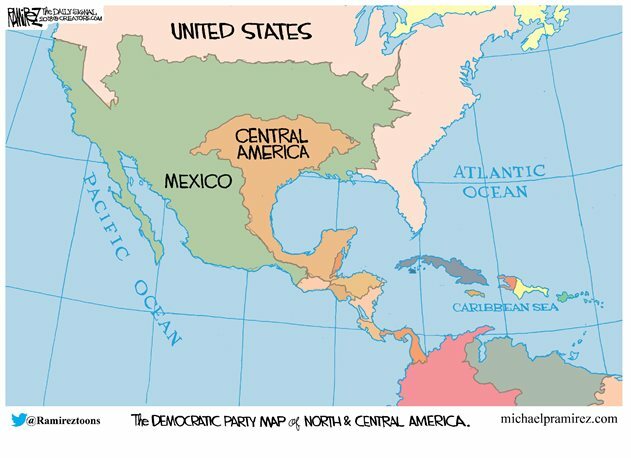 The reduction of American wealth will only result in the leftist nations of the world becoming stronger and bolder in their efforts to steal from the USA. 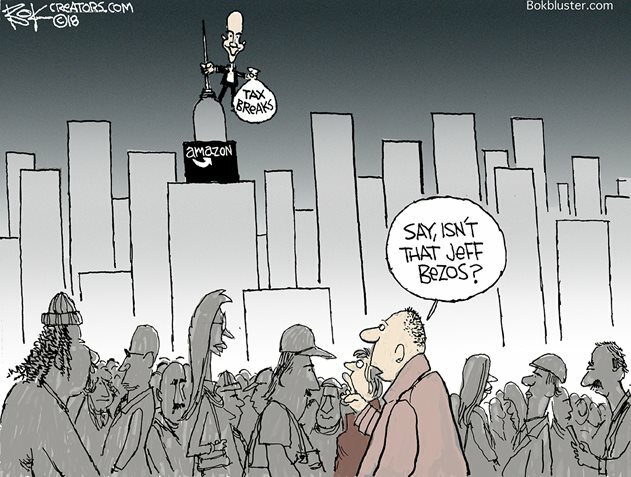 The left likens them to Robin Hood stealing from the evil rich to give to the noble poor. 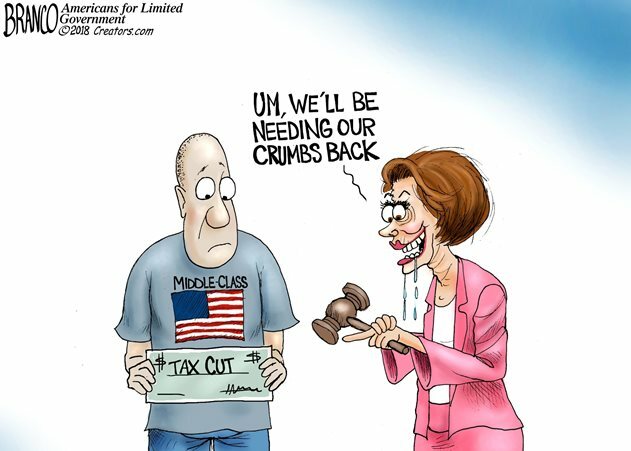 The reality is that the greedy left is using the government as Prince John did to steal from the good citizens of this nation and give to themselves by duping the ignorant to follow them down the road to hell. Democrats declaring the President to be violating the Constitution in appointing a temporary AG of whom they do not approve is laughable. These are the people who scorn the Constitution, violate the law, and seek its overthrow to install their own set of laws. As is always the case with leftists, laws are meant for the masses, not for the elites. That’s why leftists have always said, “Laws are made to be broken.” These are not the kind of people any decent human being would want to have rule over them. That’s why Democrats enlist criminals, foreign invaders, and dupe fools into believing their opponents rather than themselves are the racist Nazis. Yet millions are duped into helping them commit mass voter fraud to seize power and strive to bankrupt the nation on bogus promises such as free healthcare for all. America will fall if they are allowed to succeed. This entry was posted in Elections 2018 & 2020, Politics and tagged Arizona Recount, Count Every Vote, Delegitimatizing the election, Democrat corruption, Democrat voter fraud, Democrats take House, Donald Trump, Fake News Enemy of the People, Florida Recount, Georgia Recount, Mueller fraud, Trump's Senate, Voter fraud. Bookmark the permalink. 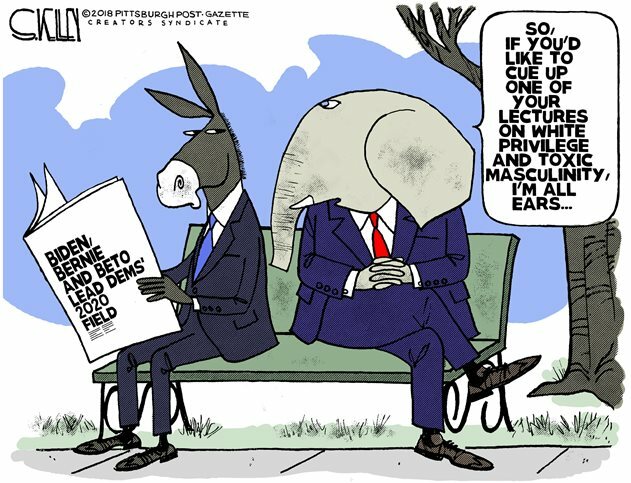 Some valid thoughts on the DemonicRat rants in the recent 2018 election. Their fraud is everywhere, but if they lose, suddenly they’re blaming fraud on Republicans! Used to be honesty and truth Trumped fraud and deception most of the time! Now with Democraps and their “dirty deeds done dirt cheap”, every election becomes a circus with liberal numbers of liberal clowns! Each election result may imply some irregularities. This may be the cause of interest of one of the parties. The early detection of this will help to avoid the negative consequences. Maybe we should let the Russians or North Korea count the votes. That way if a Republican wins literally anything, then the Democrats can confirm with the typical no-proof that the election is full of fraud – but if a Democrat wins, then it’s our turn to say the Democrats are in cahoots with the Commies – because that’s the only way they could possibly win.